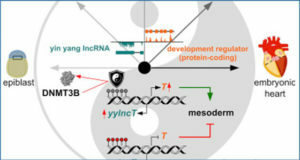 Long non-coding transcripts from telomeres, called telomeric repeat-containing RNA (TERRA), were identified as blocking telomerase activity (TA), a telomere maintenance mechanism (TMM), in tumors. 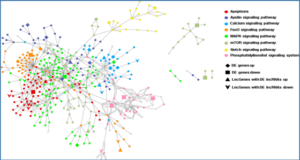 Researchers at the Medical University of Vienna expressed recombinant TERRA transcripts in tumor cell lines with TA and with alternative lengthening of telomeres (ALT) to study effects on TMM and cell growth. Adeno- and lentivirus constructs (AV and LV) were established for transient and stable expression of approximately 130 units of telomere hexanucleotide repeats under control of cytomegalovirus (CMV) and human RNase P RNA H1 (hH1) promoters with and without polyadenylation, respectively. 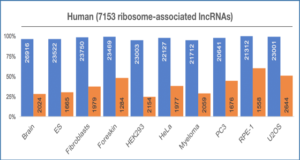 Six human tumor cell lines either using telomerase or ALT were infected and analyzed for TA levels. 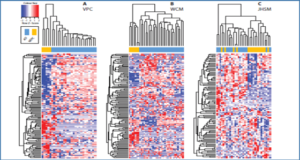 Pre-infection cells using telomerase had 1%-3% of the TERRA expression levels of ALT cells. AV and LV expression of recombinant TERRA in telomerase positive cells showed a 1.3-2.6 fold increase in TERRA levels, and a decrease in TA of 25%-58%. 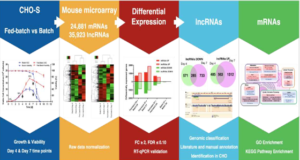 Dominant-negative or small hairpin RNA (shRNA) viral expression against human telomerase reverse transcriptase (hTERT) results in senescence, not induced by TERRA expression. Population doubling time, cell viability and TL (telomere length) were not impacted by ectopic TERRA expression. Clonal growth was reduced by TERRA expression in TA but not ALT cell lines. ALT cells were not affected by treatments applied. Established cell models and tools may be used to better understand the role of TERRA in the cell, especially for targeting telomerase. CMV and hH1 TERRA promoter constructs for expression of polyadenylated and non-polyadenylated transcripts, respectively. 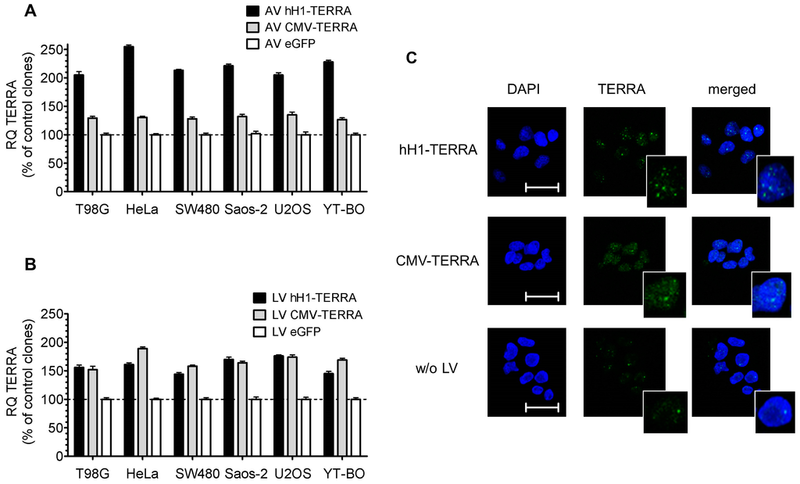 (A,B) RQ values for TERRA expression were analyzed by qPCR and compared to 36B4 as reference gene and to enhanced green fluorescent protein (eGFP) infected cells as control; (A) Cells were infected with AV at MOI 10 and analyzed after 48 h; (B) Cells were infected with LV and single cell clones were isolated. 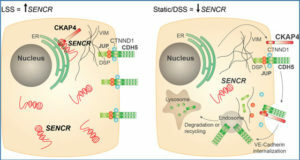 Representative results in one of three clones per cell line at passage four are shown; (C) TERRA expression detected by telomeric RNA- fluorescence in situ hybridization (FISH) with fluorescein isothiocyanate (FITC) label in interphase nucleus (4′,6-diamidino-2-phenylindole, DAPI) of LV clones from SW480 cells at passage four. Cells were treated with 200 U/mL DNase A. Scale bars of fluorescence micrographs represent 10 μm. Inlays depict a representative nucleus.